@Marco, Yes your members can be members of more than one membership at a time, there is an option in the settings to turn this on. There is no limit to the number of memberships a person can be a member of. Hi! I am seriously interested in this plugin. But does it allow members to have multiple memberships at the same time? @Elise, Yes the plugin has an option for it. Can I generate a list of members that will have accounts that expire soon based on a date? Example: Say I put in a date one week from now, will it tell me the accounts that are due to expire in that time? @Anna, WordPress.org is different than WordPress.com. You can install the WordPress.org software on any server in the world. There are many Chinese users who uses WordPress for their sites (it is the top CMS platform). In terms of the plugin, it can be installed on any site where you are using WordPress (the exact same for ANY other plugins). If you can install other plugins in your WordPress site then you can install this one also. Will the plugin be in effect if the site is opened in China since wordpress is blocked in China? @Doug, There is no limit. Is there a limit on the number of members I can have? @Cheryl, Yes you can set a membership level to expire on a set date. Can I set a fixed date for all subs in a level to expire? For example my group’s subscription year runs from 1 May – 30 April, so I want all subs to finish on 30 April. Is this possible? @Mandie, Yes the eMember does have the option to use the new Google Captcha. Does eMember use the new Google Captcha? 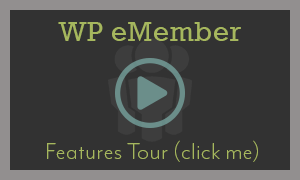 Wp-emember is the backbone of our website. Great plugin! @Terrence, Yes our plugin will work nicely with a responsive theme. 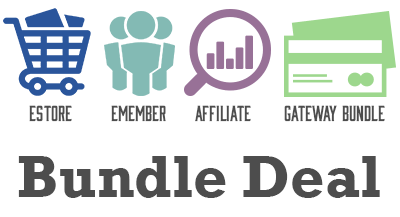 Is the membership area responsive design? If you decide to use the WP user integration settings (keeping eMember and WP users synced if the are created in any of the ways), would the passwords and any other settings get updated correctly in both tables if a user changes something using their admin panel? Thanks! @Jason, Yes you can disable the update/upgrade notifications from the email settings of the plugin. Can you disable the upgrade email notice in the plugin? I have been using the eMember for sometime now and I wanted to say this has been a life saver. It has allowed me to expand my business into a recurring subscription site. @Slavo, Yes you can charge one time payment for your memberships also. You decide if you want to charge one time payment or a recurring payment. Hi there, is it possible to have one time payment, not monthly or yearly, just one single payment for membership? @David, Yes you can set it up so an Affiliate id is created when the membership is created. @Melissa, Yes we have a simple free add-on that will allow you to redirect non-members to a different page when they land on protected content. If someone lands on a protected page can they be sent to a different page. Something like they land on my protected page and they are not a member can I send them to something like a signup page? @Sunny, Thank you for your feedback. I will add it to my list. When someone lands on a page that is protected can they be automatically redirected to the login page? What I am looking for is skipping the “content is protected message:” and having it just auto redirect to the login page. 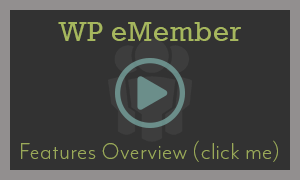 @Arthur, You can import WP users as members if the records are already in your WP users table. There is also an addon that lets you import users from a CSV file. Is import users available from another database to this plugin? @Jenny, Yes we have an option called do not allow simultaneous log-in. Option 1: The user is logged out if another person tries to log into their account. Option 2: Only the current user can be logged into the account. Any other log-in attempts will not be successful. I need an option where only one user can be logged into the account at a time. Do you have an option where I can limit this? Say John has a membership account and he is logged in. Now his wife wants to also log in. His wife would not be able to log-in until John logs out. @Mike, It seems like you have setup one time membership at the moment. If you want to charge recurring payment for membership, please setup a subscription payment (the documentation has more info on this). Let us know if you need help with setting up a subscription payment button. How do I set this up so that the membership automatically renews? In other words, it doesn’t ever expire unless Paypal says the payment didn’t process. My test account just got an email saying it is going to expire in 10 days and that I have to manually renew. I don’t want that. Help!! @Kevin, Yes we have a free eMember addon to import users. There is also an interface in the plugin to import your existing WP users (if you have them). Passwords are not auto-generated. If you use our user creation API and write your own script to add members then you can leave the password field empty and it will auto generate a password. There is another free addon that lets you mass email to all your members. Please check the plugin documentation (see link above) and you will find more info on these and then you will be able to determine if it will work for you or not. 1. Can I import member data? 3. Can I have username/password emailed after new members are added? Is this plugin compatible with a multisite network? You can ask your provider if they have this option. I use none of the three autoresponders mentioned here. Is it possible to use other autoresponders? @Mark, Yes our plugins are all compatible with the latest version of WordPress. We always test our plugins with upcoming releases to make sure our customers have no issues when updating. I just want to verify that this is compatible with WordPress 3.9? @Brijesh, yeah there are shortcodes to do that. @Brijesh, yes you can add members manually from the admin dashboard to an all access level if you want (that member won’t have to pay anything).